The Hebrew University of Jerusalem, Israel’s first university and a symbol of the cultural rebirth of the Jewish nation in its ancestral homeland, is a multidisciplinary institution of higher learning and research. It is a scientific centre of international repute, where thousands of young Israelis receive a university education with an accent on excellence; where advanced post-graduate study and research are of great focus; and where special programs attract a large number of overseas students to pursue degrees or earn credits for transfer. 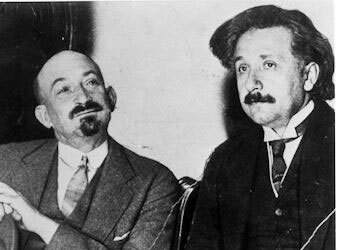 This is a University with a three-fold function: to serve the State of Israel by training its scientific, educational and professional manpower; to serve the Jewish people by preserving and expanding the Jewish cultural, spiritual and intellectual heritage; and to serve humanity by extending the frontiers of knowledge. 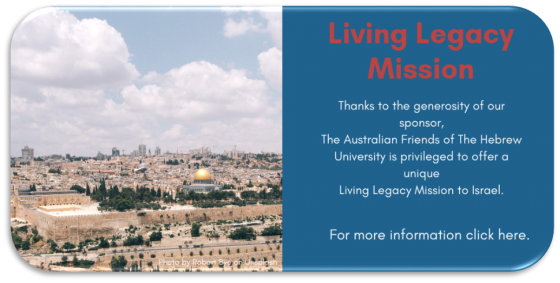 The Australian Friends of the Hebrew University, as Hebrew University’s affiliate office in Australia, is responsible for the development of an Alumni program and the growth and development of the Young Friends of the Hebrew University group. 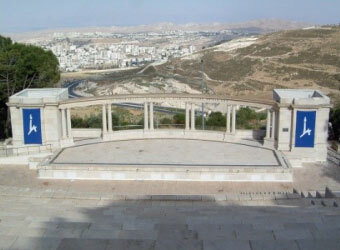 The Friends of the Hebrew University office organises and runs regular social, political and educational events. 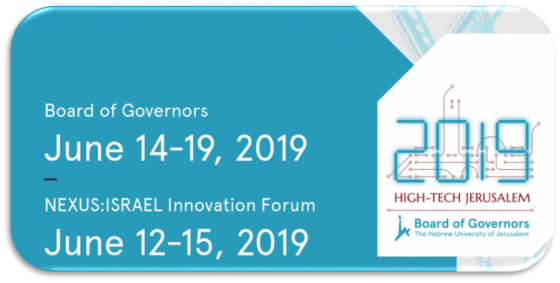 To bring the name of the Hebrew University to the fore, raising awareness within the Jewish and general Australian community of the Hebrew University of Jerusalem and its academic and research excellence. To raise funds and encourage bequests in support of the Hebrew University of Jerusalem, both for specific projects and for the general purposes of the University. To provide a medium for the exchange of information and literature between Australia and the Hebrew University of Jerusalem. To encourage and assist Australian students wishing to undertake study at the Hebrew University of Jerusalem. The Hebrew University’s influence can be seen in programs such as Melton – the Jewish adult education program, which has proved extremely popular in Sydney and Melbourne, and HIPPY (Home Instruction Program for Preschool Youngsters), the educational program designed to give children from disadvantaged backgrounds a successful start in their school lives.